The Haralsons have arrived! The Haralsons have arrived! 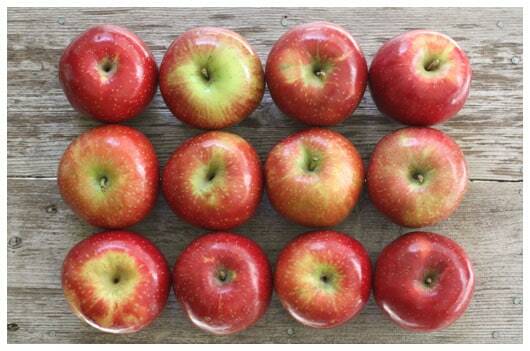 I was so excited to finally find Haralson apples available in our area this week. They are my absolute favorite apple. It could be because we had Haralsons on the farm, and I’m immediately taken back to running barefoot to the tree for a snack. 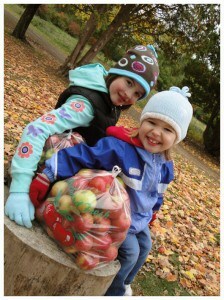 But we had other apple varieties on the farm, too, and I don’t have yearnings for those. No, I really just like those beautiful University of Minnesota developed Haralsons. Their flesh is extremely crisp and juicy, and their flavor is tart. They are just the apple for me. And while there’s plenty of enjoyment from these straight out of hand, Haralsons are also a great choice for cooking and baking. The apples retain their shape and texture better than most, and their tang provides a more striking apple flavor in the finished dish. They are my #1 choice for cooking and baking. 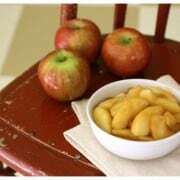 Have you ever made Sauteed Apples? If you haven’t, you’re missing out on a very tasty fall treat from your own kitchen. The recipe is so easy and takes very little time. And when you’re done, you have warm, tender, cinnamony, yummy apples to indulge in! In a large bowl, combine the apples, brown sugar, cinnamon, and salt. In a large saute pan, melt the butter over medium heat. Stir in the apples. Cook for 10 minutes, stirring occasionally. 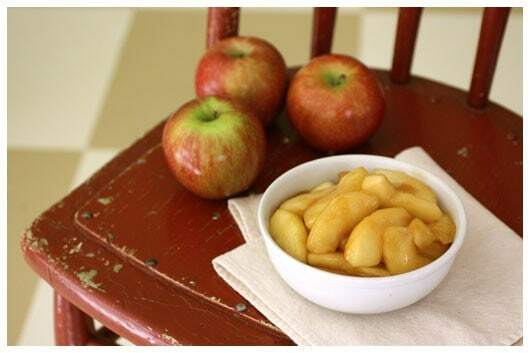 Combine the apple cider and cornstarch in a small container with a leak-proof lid, and shake vigorously to combine. Pour over the apples and stir to combine. Turn up the heat to medium-high and continue to cook until liquid is bubbly and thickened, another minute or two. Remove from heat. Serve warm. This freezes well. Just store the cooled sauteed apples in a plastic freezer container. When you are ready to serve the apples, let them thaw. Then gently warm in a pan over medium-low heat.